Apple’s upcoming “A8” processor could push speeds to heights never before seen on iOS devices. 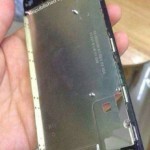 In fact, the chip likely to be found on the “iPhone 6” and “iPad Air 2” could boast frequencies of 2.0 GHz or more per core, according to Chinese media. G for Games, which first brought this news stateside, also notes that the A8 is likely to continue to adopt a 64-bit dual-core architecture found on the A7 processor. It will also continue to be built using the 20-nanometer process. The iPhone 5s features a 1.3Ghz A7 SoC processor. On Thursday, The Wall Street Journal reported that Taiwan Semiconductor Manufacturing Company (TSMC) started shipping A-series chips to Apple in the second quarter of 2014. With the move, TSMC replaces Samsung as Apple's primary mobile chip provider. 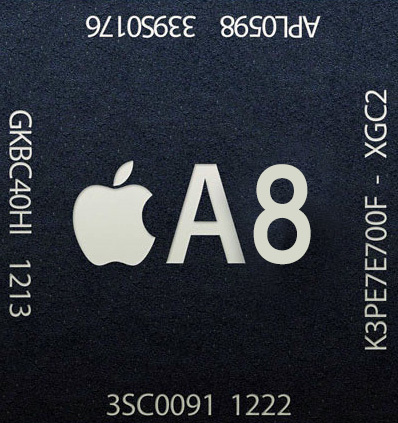 The report mentioned that TSMC is manufacturing the processors using a 20-nanometer process, though a 14-nanometer design could be in the works for Apple’s "A9" chip. Apple is expected to launch next-generation iOS devices in September and October. See also: Apple's Next iPad Air Called A 'Real Game Changer,' Apple places huge orders for its 'iPhone 6' as mass production is set to begin, and The ‘iPhone 6’ Color Choices Are Familiar.